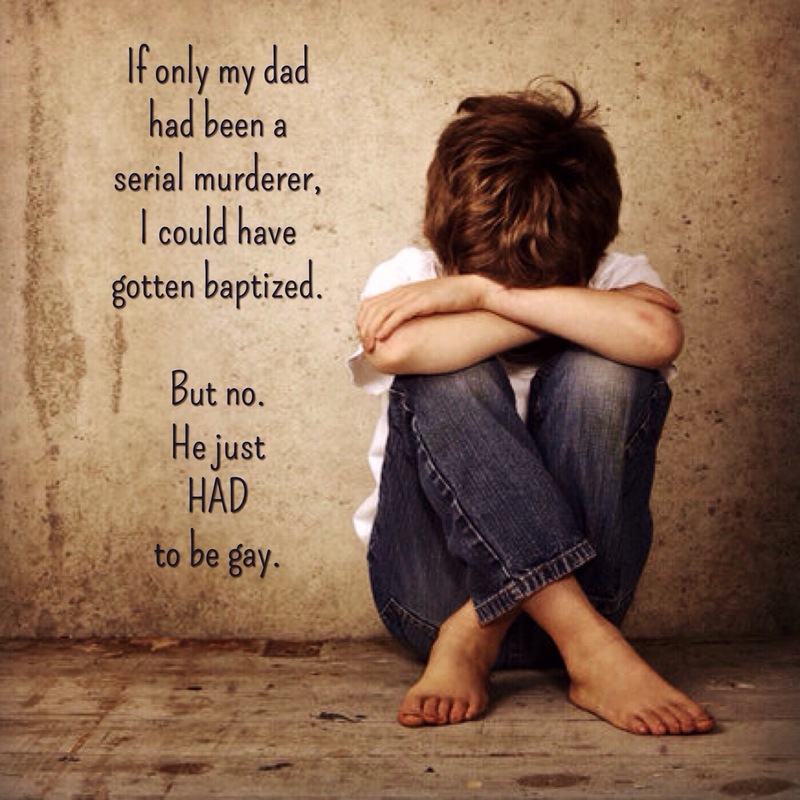 There is much good in Mormonism. Mormonism preaches the importance of truth and offers it as a standard to the world. Yet all too often, Mormons are warned away from the more troubling truths of its prophets, its history, and its doctrines. Why is that? In our attempt to be faithful to our religion, do we sometimes hide from the truth? Do we discount truth when it seems to discount our sincerely held beliefs? Even though our faith claims to value truth, do we value the comfort of our faith more than the sometimes harsh realities of truth? Are we committed to truth, and are we willing to follow it no matter where it leads, or are we committed only to follow the institution of Mormonism wherever it might lead? The many errors and contradictions are indeed easy to detect, not only in Joseph Smith’s history, but also in many other areas of church history and doctrine, and those errors and contradictions are highlighted on this website. Official church history teaches that a young Joseph Smith went into the sacred grove because he had a simple question. Prophets since Joseph’s day have encouraged us to ask questions, just as Joseph did. We are warned, however, in our questioning, to avoid information that comes from dubious sources. The information on this website is taken from official church sources. Every post includes a link to a credible website with the source of the information. When possible, that source is lds.org, but sometimes the information will come from byu.edu, reputable news websites, or, like the quote above, from a published book available on gospelink.com, a Deseret Book website. If you ever have a question or concern about any of the sources I link to, just drop me a note in a comment on the post in question, and I’ll do my best to resolve it. No. 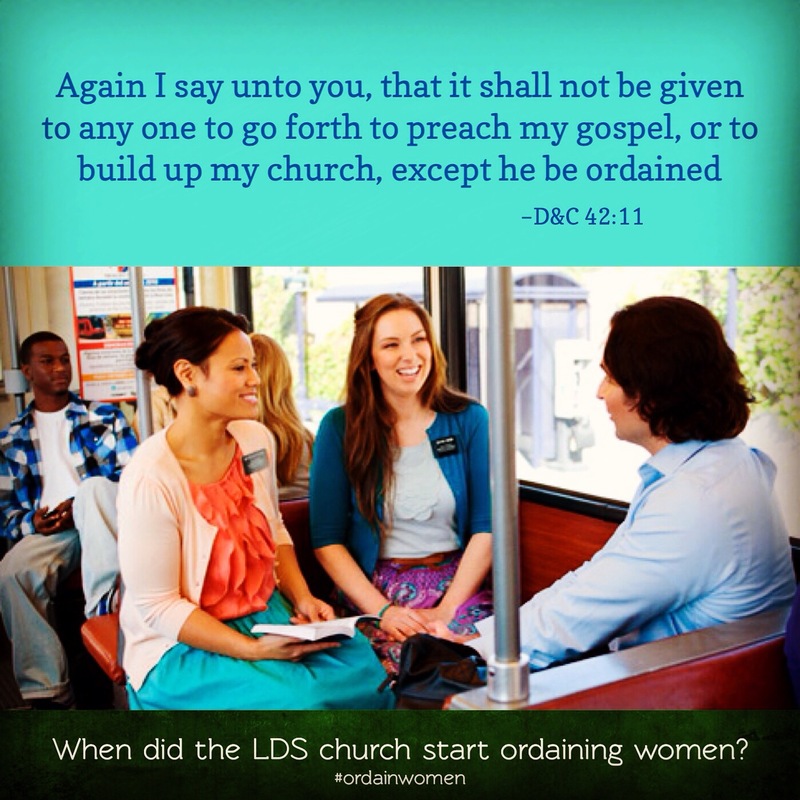 I was an active member of the church and loved its doctrines. 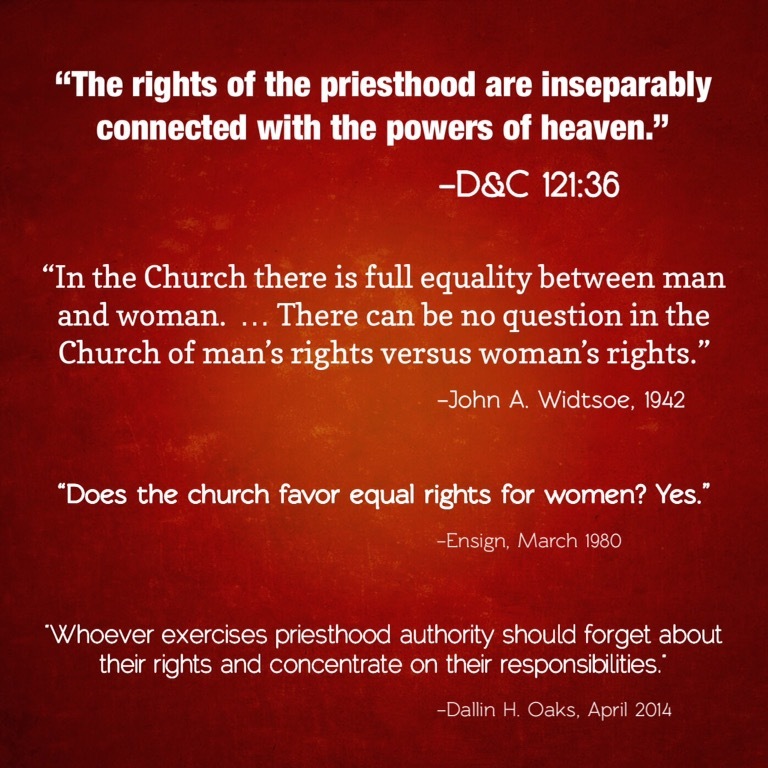 The church is either true or it isn’t. If I or anyone else is offended, or if I or anyone else wants to sin, that won’t change the truthfulness of the church. The errors and contradictions of the church are not there because I put them there. I am not responsible for them. I merely help point them out for others to see. I dedicated my life to the church. I based all of my major life decisions and many of my minor day-to-day decisions upon the premise that the church was true and its doctrines would lead me to happiness in this life and in the life to come. In the Book of Mormon, when Alma and the sons of Mosiah realized they had been leading people astray with false doctrine, they dedicated the rest of their lives to correcting their mistake. They are lauded for their actions. I spend a little bit of time–far less than I used to dedicate to my church callings–putting things on a website in a rather underwhelming attempt to correct my mistake. Am I to be vilified for that? I have a lot of admiration and respect for church members. I used to be one, and I worked closely with many wonderful people during my church service. In pointing out the contradictions of the church, I do not say that there is nothing good about the church, nor do I ascribe malice to the church leaders or members. If you want balance on the church, you can’t read only lds.org, since even with their vast resources they do not dedicate time to pointing out negative aspects of the church. Likewise I don’t point out the many positive aspects of the church, even though I both recognize and appreciate them, knowing that people who want to learn about that can find sufficient material at lds.org. If I seem overly negative toward the church, it is only because the posts on this website highlight its errors and contradictions rather than that I see no good whatsoever in the church or its people. I don’t claim to be a prophet. I don’t claim to be infallible. If I have errors on this website, please contact me, and I will do my best to correct them. I am committed to the truth. I am, after all, just another apostate. I love your project here. I’ve recycled a few of your memes on my similarly themed blog. I hate what you are doing. NOTHING COULD MAKE YOU TO TURN AGAINST THE CHURCH! You are an idiot who doesn’t believe in accepting other people for who they are. OUR CHURCH DOES NOT LIE FOR A SECOND! EVERYTHING OUR PROPHET SAYS IS TRUE! HE HOLDS ALL THE KEYS AND FOLOWING HIM HELPS YOU WITH YOUR STRUGGLES!!! I am Christian, a Roman Catholic, and I am sorry about these people who insult and degrade you because you have questions about your faith and its doctrines, and people’s interpretations of the word and laws of God. People are flawed. They always will be, and so will their opinions and interpretations. They get so passionate in the defense of their faith, that they resort to sinful expressions of that faith; ironic, isn’t it? 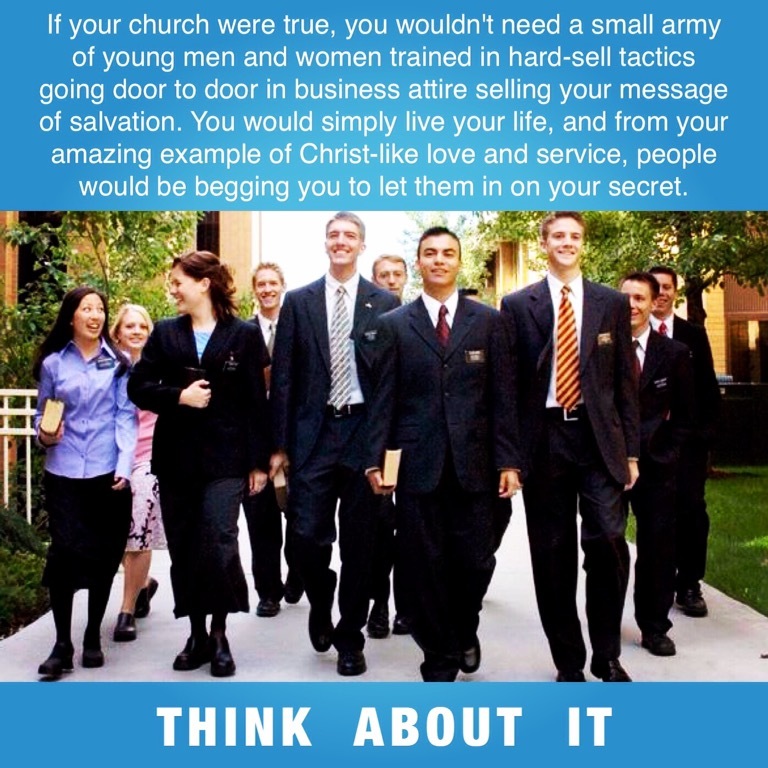 They certainly don’t do a whole lot to promote the faith with that behavior, and souls are much less likely to be saved. Many is the time that I have questions about things in my heart; and instead of asking a flawed human, I ask God for an answer, and wait for it. Sometimes I get an answer right away, and sometimes it takes a looooong time. My faith is strong enough that I am willing to wait. I know I may never get an answer, but I still feel strong in my faith. I don’t know if I will feel that way tomorrow, because I am flawed. But each time I ever strayed from my faith; eventually, I returned to it, for it holds the only true comfort I have ever known. When I am making an effort to follow God’s laws, I am happier and I feel better and stronger about myself and the world around me. Only you know and God knows what your journey will be, how long it will be, and what will happen along the way. I wish Christians would practice more restraint and tact in the defense of our beloved God. They sometimes forget that they are not necessarily defending their faith, but attempting to win souls over to God. I often tell others during a discussion about religion and faith and God, that “I want everyone to go to Heaven.” That is the bottom line for me. Thank you, Valerie. You expressed very well a sentiment I hope we can all remember. I appreciate your perspective, Jaxon, and look forward to a continuing discussion. I agree that there can be toxic aspects of religion, but I guess I’m not convinced that it’s limited to the culture. I think history shows that the doctrine and the culture are interrelated and are informed and affected by each other. Hello, I am a Mormon and I just wanted to understand this website more. What I’m not getting is why you feel this need to post false things on your website. It’s very inappropriate and rude. I am sorry for whatever happened in your church that you were attending. I don’t know what made you want to make a anti-website against the Mormon church but it’s rude and degrading. Hello, my name is Hannah. I belong to the church of Jesus Christ of Latter Day Saints. I believe that Joseph smith did see heavenly father and his son, my savior,Jesus Christ. I believe that the atonement did happen and for that he has repented for my Susan’s. Every week when I take the sacrament I know that I can be clean again. I believe in the plan of salvation and prayer and that through that I can live with him someday. Hi, Hannah. What information is false? I make a habit of posting my sources for all information on this website. (I also offer my opinion on the facts; are you implying that my opinion is false?) Let me know which information I’ve posted is incorrect, and I’ll fix it. Thanks. I am very interested in understanding how people arrive at their beliefs. Can you please tell me how you formed the opinions you list above. What are the reasons for these beliefs? How did you arrive at these conclusions? I very much want to understand you as I come from an entirely different background. Thank you very much. I sincerely hope to hear from you. Hey just wanted to let you know I appreciate your website. I think you’ve struck a good balance of graphics and text, and the voice of your website is great too if that makes sense. Anyway, keep up the good work. I miss you, justanotherapostate! Where are you? 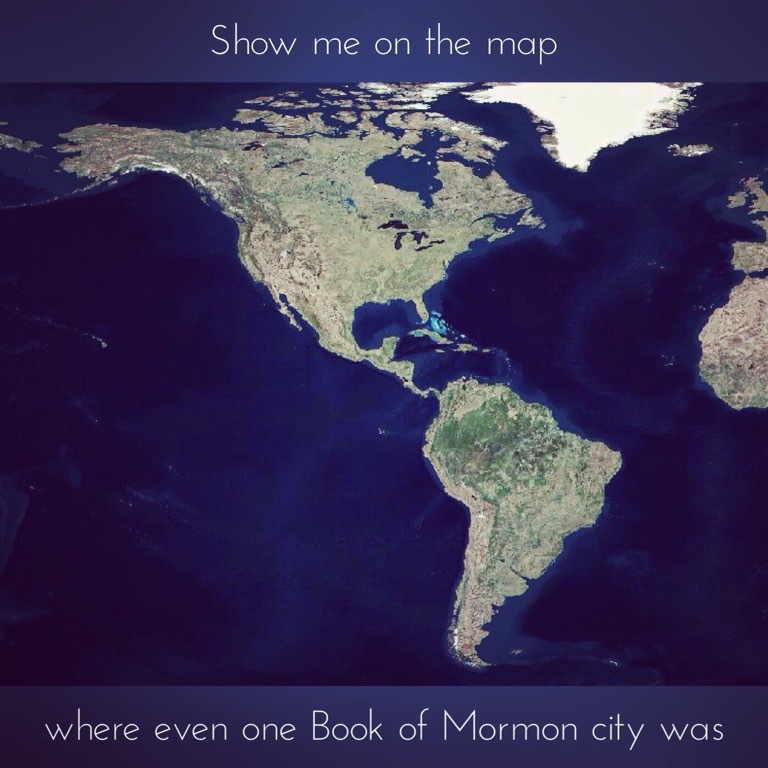 Where were Book of Mormon cities?